In the simplest terms, “low inventory” in real estate refers to the number of homes that are currently for sale; these homes are the available “inventory.” A low inventory market, like what we’re seeing in Pennsylvania and throughout the Tri-States area right now, is great for sellers. And you not only have better odds of getting any one buyer through your door, especially if your realtor implements a smart digital strategy for promoting your listing, but you also are likely to have a higher percentage of all total buyers scheduling a viewing. This means that you’re getting a bigger slice of the buyer pie seeing your home online and in person than you would have had in a high inventory market. The more buyers you can get your home in front of, the better your odds of receiving an offer. But it’s important to remember that just because inventory is low and buyers have fewer options doesn’t mean this a good time to skimp on preparing and presenting your home for sale. Holistic and professional home preparation paired with a thoughtful digital listing strategy is always the best plan of attack when selling, in any market. When the market is on the verge of a shift like it is now, buyers become much more serious. Currently, interest rates are projected to continue to increase, and buyers are trying to get in before that happens. From a buyer’s perspective, having the opportunity to save on mortgage interest by closing on a new home now rather than 6 months from now, when interest rates may be higher, is a strong motivating factor. And if/when interest rates do go up, this can significantly diminish the buying power for many buyers, which puts additional pressure on those who are serious about buying. Highly motivated buyers are good for sellers in general, as they know what they want (or don’t want), have a purpose and intention to buy, and are serious about the effort. BUT, they are not going to make an offer on any house that comes on the market. Because their buying power is being affected with interest rates and prices, they are paying much more intention to value – the condition, locations, features, and price of the home. Value is set by the buyer, not the seller. Stable prices are always a great indicator of a good time to sell. Currently, the market is on the verge of shifting to a buyer’s market – BUT that shift is still in-process. In a buyer’s market, we tend to see prices going down as there are more homes for sale than active buyers. From a seller’s perspective, a buyer’s market means there is plenty of supply, and not enough demand to go around. We can have a buyer’s market with low housing inventory because affordability issues affecting demand are at play. There is a sweet spot during the transitional period between a seller’s market to a buyer’s market that is a great time to sell. You start to see an increase in the number of buyers before there starts to be a downward trend in closing prices. We are noticing this trend right now across the region, making this the perfect time to list your home and get in front of serious buyers before prices start to decrease. In addition to prices holding, the low inventory conditions also mean that sellers may have leverage when negotiating against concessions. It’s important to work with a knowledgeable and experienced real estate team that can advise you on what listing prices and concessions make sense in the current local market. The second great advantage to selling your home during a market transition like we’re seeing now is that you can sell when it is beneficial as a seller and buy when it is beneficial as a buyer. Right now, sellers can take advantage of the low-inventory conditions, including the stability of prices, fewer concession requests, and more serious buyers. The other side of that same token is that while you’re securing an offer on your home and getting ready to buy, the market will be continuing its transition towards a buyer’s market. This means that as you begin your purchasing process in earnest, you will be able to take advantage of the newly forming buyer’s market. If prices begin to reduce, you may experience increased buying power after the sale of your home. 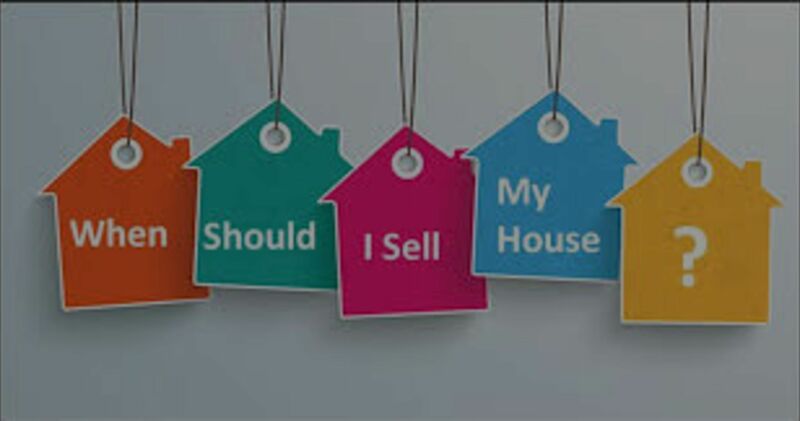 Selling now can allow you to gain the maximum benefit from the current market conditions on both the sale of your current home and the purchase of your new home. The best way to sell a home in Pennsylvania is to work with a real estate team who understands the local market and the listing and negotiations process. The Cyr Team is dedicated to informing and guiding sellers so they get the best offer on their home. We’d love to connect and discuss how we can help you list and present your home, from the initial consultation all the way through closing and purchasing a new home.